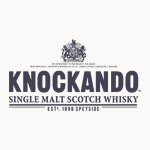 Founded in 1898 by John Thomas, the Knockando distillery overlooks the River Spey in the namesake town in the Strathspey area. One of Scotlandâ€™s smaller distilleries, it produces only 1.29 million litres annually, and less than 10% of that is retained as single malt. For this reason, the brand is little known in the UK but popular in Europe, and is one of the main components of J&B blended whisky. Now owned by Diageo, this is one of the more traditional facilities in Scotland.